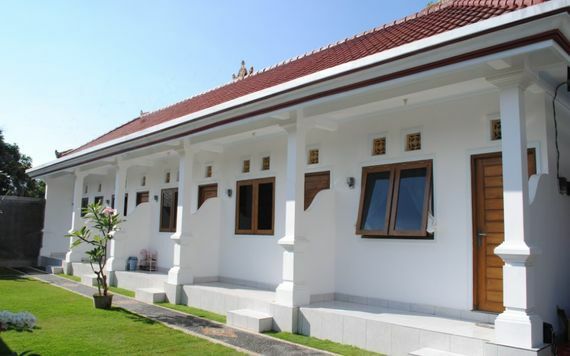 There is one of interested property businesses in Bali which is renting the boarding house. It is a building that will only allow the tenant to use only one bedroom among the available bedrooms. The other rooms can also be used but not privately, they are for all the tenants in a boarding house. Boarding house is a common property business in a whole Indonesia as well. But, since Bali is good for travelling, then renting the boarding house for daily, weekly and monthly can be the good source of income for some business owners. As Bali has been becoming the travel destinations from people around the world, the island is also a good place for many employee that are working there. Many workers are coming to Bali from another cities and provinces and it is not a new thing that there are also many foreigners who are working in Bali. All of them will need a place to stay. Some of them are renting a house for certain months or a year, some of them are staying with families first but I am really sure that most of them will be find the boarding house as their main place to stay among the other available options. Knowing this, don’t you think that a worker will surely has at least a salary? Means that a worker will find an affordable boarding house that won’t even reach 30% of the monthly salary. Since workers and students of university are the same in finding a place to stay, a boarding house in Bali, then the demands of it is increasingly high over time. Even a new boarding house that just built 2 or 3 months before will be easy to find the tenants since there are so many people are looking for the same stay. Then, I am sure that there will be the boarding house owners in Bali that will raise its monthly or daily price so they can get more money start counting on how long it will be needed for their Return of Investment. It surely not a good implementation of property business, but surely that money will keep on coming when the boarding house property is yours. Workers in Bali are also getting a job easily, so they can also get out of the office as they want. It surely will affecting where they will be stay since most of us are requiring the stay that are closer to our residents. This means that there will be the tenants that will be moved out of the boarding house even there will still some days or a week to the end of the month. Don’t you think that the boarding house owners will happy for that since tenants have been fully paid for a month but don’t stay in it for 30 days? In the meantime, couple hours ahead there will be someone calling the property owner that he will need a bedroom of the boarding house. What a good business the renting the boarding house bedroom is. If you think that you have a great capital of money, you may need to invest in the boarding house in Bali rather than focusing on villa or hotels.